I think at this point the release of iPhone 6s and 6s Plus is simply imminent. Based on Apple’s product life cycles, both devices should be officially announced in a mere couple of months or even sooner. For those of you who are waiting for the iPhone 6s and 6s Plus, this next news may be as exciting as it gets. 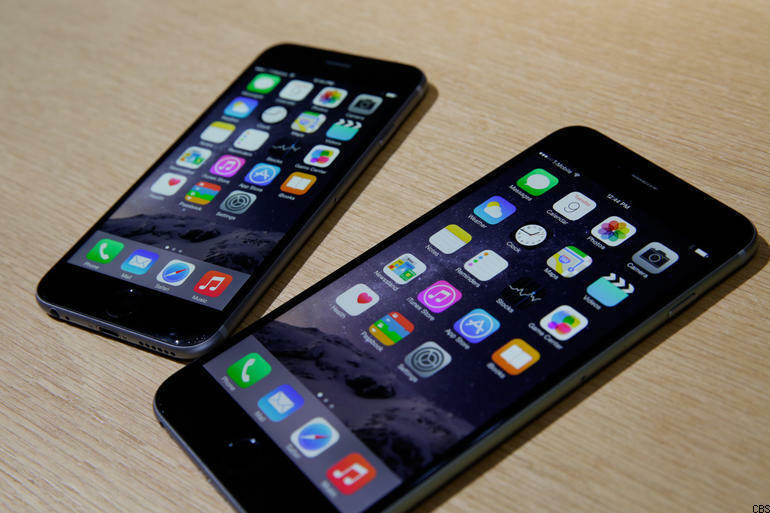 Web traffic logs are beginning to pick up devices named iPhone 6s and 6s Plus. A research firm Fiksu confirmed that it saw devices marked as iPhone 8.1 and iPhone 8.2, which would be the iPhone 6s and 6s Plus, being captured by web traffic logs from multiple servers. “Rumors about the fall introduction of new iPhones and iPads are heating up, with indications pointing to a September 9th announcement of the new devices,” Fiksu wrote. As we all know, the two-digit system marks a couple of things: the first one marking a major hardware update, while the second digit shows variations of the same device generation. The iPhone 6 and 6 Plus are marked with device IDs of 7.1 and 7.2, which is why it is safe to assume that iPhone 8.1 and 8.2 are indeed the upcoming iPhone 6s and iPhone 6s Plus. A known source for Apple leaks, Evan Blass of EVLeaks, stated earlier that Apple will be releasing not two but three new iPhones in the coming weeks. The third device will be an iPhone 6c. Other sources including Apple’s own manufacturing partners also confirms that an iPhone 6c is just around the corner. The leak further detailed iPhone 6c’s hardware specifications. It will be using Apple’s latest 16nm processor; the processor itself will be built by Samsung and TSMC. It is also said that the iPhone 6c will no longer use the same plastic material used by the iPhone 6c, and instead will come with a full-metal casing. However, even after the confirmation from various sources, there is still no sign of iPhone 6c yet. Fiksu also confirmed that the web traffic logs only saw two new devices instead of three. That said, a new iPhone 6c will have its own major hardware identifier instead of using the same 8x combination. Apple may have yet to start testing the new device at this point, so a 2016 release could be possible. We’ve seen quite a lot of rumours and leaks regarding the iPhone 6s and 6s Plus, so a September release is very much confirmed at this point. An iPhone 6s frame was even tested by a YouTuber, Lewis Hilsenteger from Unbox Therapy, and a number of improvements were revealed. Apple will be hosting an event on September 9th and we might see the two (or three) new Apple devices there. An iPad Mini 4 and a couple of other iOS devices may also be released on the same date. Are you excited about these updates? Do you think the iPhone 6c will be released on September 9th as well? Let us know what you think in the Comments section below.